New York, NY (Top40 Charts) Pop rock trio HANSON's new album String Theory is now available to be heard in its double-album entirety via NPR's First Listen. The album brings together an exciting collaboration of song craftsmanship and symphonic majesty, framing the established trio's music through a special collaboration with Academy Award-winning arranger David Campbell. HANSON's most ambitious musical project to date features songs spanning the band's career, including rearranged versions of some of their best known material ("MmmBop," "Where's The Love," "This Time Around" and more) alongside brand new or never-released-to-the-public songs ("Reaching For The Sky," "Battle Cry," "Breaktown," "No Rest For The Weary" and more) which tell a story of aspiration, despair, fortitude and ultimately a return to optimism. Out this Friday, November 9, String Theory features HANSON performing with a 46-piece Orchestra and will be available in digital and physical formats, with special content and packages, including the instrumental album A Piece Of String, and the behind the scenes documentary Theory Of Everything, as well as exclusive limited edition items available via the band's official website www.Hanson.net. The band recordings were produced by HANSON and mixed by Grammy winning Producer and Engineer Jim Scott (Red Hot Chili Peppers, Tom Petty, Wilco, Sting). The symphonic composition was recorded in Prague, lead by arranger David Campbell. New HANSON recordings were engineered by Craig Alvin (Kacey Musgraves) with additional production and engineering credits including past collaborators of the band, Danny Kortchmar (Don Henley, Billy Joel, James Taylor), Steve Churchyard (The Eagles, Train, Faith Hill, Taylor Swift) and CJ Eiriksson (U2, Matchbox Twenty, Phish). String Theory dates are already in motion, with recent appearances with many leading symphonies taking place at some of the most iconic venues, among them the National Symphony Orchestra at the Filene Center at Wolftrap and the Pittsburgh Symphony Orchestra at Heinz Hall, as well as Boettcher Concert Hall in Denver, the Greek Theatre in Los Angeles, Schermerhorn Symphony Center in Nashville and more. US and international dates continue throughout the Spring of 2019. String Theory is the next frontier for HANSON, telling a story of aspiration and fortitude against the odds. 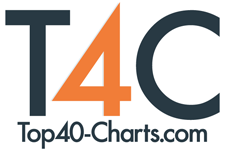 The music resonates with authenticity, coming from a group whose signature is never to chase trends, but instead to stay focused on their melodic craftsmanship, establishing themselves as one of the few artists of their generation able to continually reinvent and reimagine their music, which has helped them to maintain an active global fanbase over 25 years after their founding. Rapper Wynne Shares New Music Video For "Don't Touch"
Hailee Steinfeld Releases New Track "Back To Life" From The Soundtrack "Bumblebee"
Blake Shelton Releases Cover Of Outlaw Legend Bobby Bare's "Tequila Sheila"
Andrea Bocelli Scores First No 1 Classical Album In 21 Years!